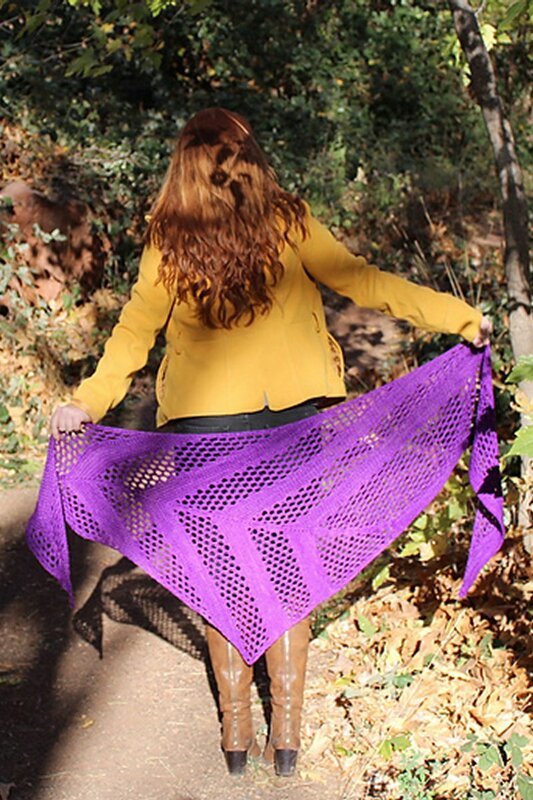 Taken from: Taiga Hilliard "Amethyst Shawl" - Royal Amethyst is a great starter project for a beginner, but interesting enough for someone more advanced. It's knit sideways with a little bit of lace. 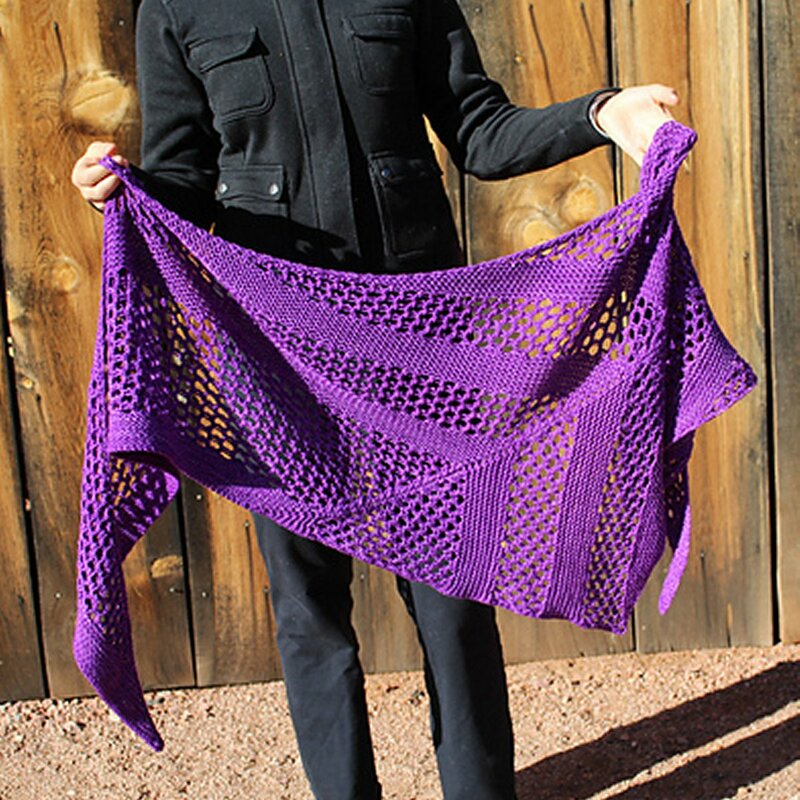 $146.00 -- Kit price including yarn and pattern.